This is why people from across the globe train in mixed martial arts, even in countries where individuals have access to standard firearms. According to a study commissioned by Simmons Market Research, around 18.1 million Americans participated in some form of martial art at least once during 2010. This number included 9.4 million adults and 5.5 million teenagers, along with a further 3.2 million pre-teens nationwide. There was also a relatively equal split between male and female participants (52% and 48% respectively), which reaffirms the idea that the majority of students learn a martial art in order to build their self-defense skills. However, in the quest to develop the most advanced self-defense skills, there are a number of martial arts that are available to students. These include popular disciplines such as karate and a host of lesser-known alternatives, and selecting the right one to suit your needs can be a challenging pastime. Not only this, but it’s also reasonable to assume that the best self-defense strategies may require you to combine moves from different martial arts. In the article below, we’ll highlight three martial arts that are relevant to the concept of self-defense and the key moves that define them. If you’re new to the world of self-defense, you may not have heard of the mysterious sounding Krav Maga. 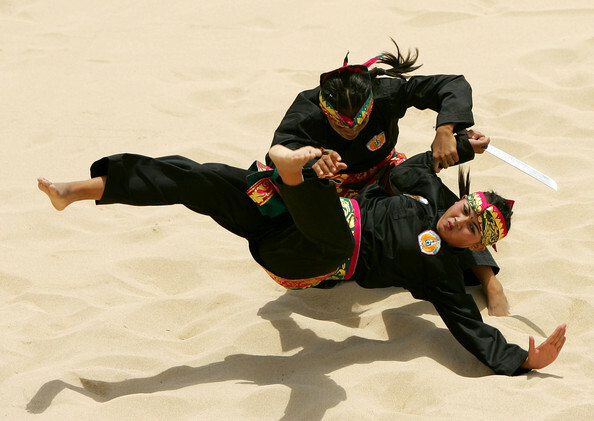 This martial art is an officially recognized self-defense system that has become globally popular of late, having originally being created and adopted by the notoriously tough Israeli Military. It focuses primarily on threat neutralization and efficiency of movement, making it an accessible and authentic martial art for people of all age. It also boasts a notoriously pragmatic approach to self-defense, by equipping students with the tools to nullify an attack quickly and effectively. Given its growing relevance and popularity, it’s little wonder that Krav Maga has gradually become the dominant martial art on the silver screen. After all, it contributes to an extremely realistic form of training and fight scene choreography, while actors who are tasked with learning this art are typically able to do so quickly. Legendary actor Tom Cruise underlined this point when he undertook intensive Krav Maga training and mastered this art in three months before starring in the 2004 hit Collateral. In one particularly iconic scene, Cruise’s character Vincent is attacked by a baton-wielding bodyguard, before producing a rapid and disarming counterattack that neutralizes the threat effectively. Leonardo DiCaprio, who is not renowned as an action star, also deployed the art of Krav Maga in the film Blood Diamond. Set in the heat of civil war in Sierra Leone during the 1990s, a Krav Maga-inspired training regime transformed the Titanic star into an all-action star, while also sculpting his body shape in a relatively short period of time. This also taps into the numerous health and safety benefits associated with Krav Maga, which include the building of core strength, speed, and cardiovascular endurance. 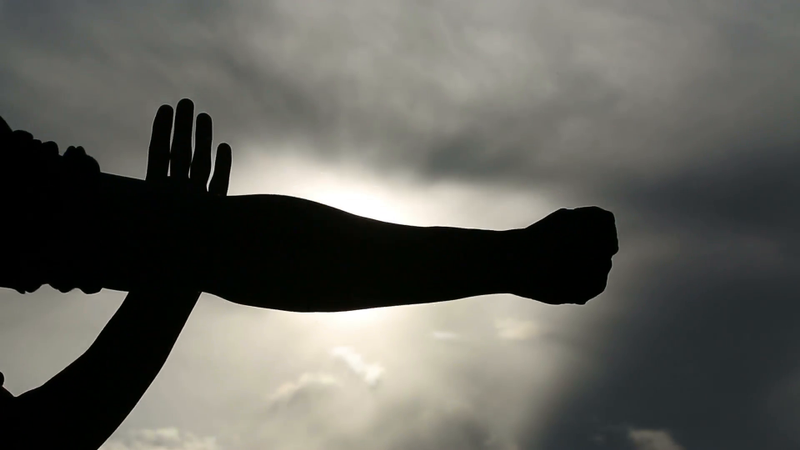 There’s a range of simple and diverse defense techniques included as part of the Krav Maga repertoire, including everything from effective punching to rapid groin kicking. One of the most iconic maneuvers enables you to prevent an outside strike from a fist or weapon, while also allowing you to use your free hand to counterpunch a vulnerable attacker. As an attacker approaches you, stand with arms outstretched and your fingers extended, before raising your forearm inside the line of the attacker’s oncoming assault. At the same time, form a perfect fist with your other hand and punch your attacker in one of their soft spots on or around the face, such as the nose, jaw or throat. This simplistic move effectively prevents an attacker from striking your face while enabling you to land a simultaneous counterpunch, helping you to nullify the threat in a relatively short space of time. It also highlights the unique appeal of Krav Maga as a self-defense technique, which combines simplicity and efficiency of movement like no other martial art. Brazilian Jiu-Jitsu is a far more renowned martial art and one that first came to global attention when Royce Gracie won the first-ever Ultimate Fighting Championship (UFC). This also cemented the discipline’s spot as the world’s most foremost self-defense techniques, and one that has set a global standard in one-on-one, unarmed combat. This system of self-defense was developed by Royce’s father Helio Gracie in Rio de Janeiro, who struggled to perform some of the more muscle-based moves associated with the iconic Japanese alternative. As a result, the Brazilian iteration relies more on the intelligent use of body mechanics, making it an accessible martial art for a wider range of students. As a result, Brazilian Jiu-Jitsu is ideal for enabling smaller fighters to overcome much bigger opponents, which is at the core of why people learn self-defense techniques in the first place. Rather than relying on energy-sapping throws, Gracie deployed the art to take the fight to the ground and force attackers into a position where they’re inherently uncomfortable. The theory behind this is that fighting on the ground can negate an opponent’s greater size, height or reach, while it also makes it exceptionally difficult to perform typically aggressive moves such as punching or kicking. This can nullify the majority of opportunistic attackers, creating a more level playing field and enabling those with a knowledge of Jiu-Jitsu to steal a competitive advantage. This martial art is typified by a number of defensive and debilitating maneuvers, including choke holds and joint locks. The latter is essentially a grappling technology that enables you to manipulate an opponent’s joints so that they reach their maximum degree of motion, forcing them into indolence in the process. One of the most accessible and popular moves is the straight-arm lock, which attacks the shoulder joint directly above the elbow. This is proximal to the center of the body and capable of rendering even large attackers completely motionless for fear of incurring injury. From a technical perspective, your aim should be to pinch your opponent’s shoulder between your legs and control his (or her) wrist by ensuring that the thumb is pointed upwards towards the ceiling. By negating the need for size or physical strength, it’s easy to see why Brazilian Jiu-Jitsu has emerged as one of the most effective self-defense techniques in the world. It’s also one of the easiest to learn, regardless of your existing knowledge or level of experience. We finish with Muay Thai, which is another martial art to gain considerable attention through the silver screen and UFC iterations. 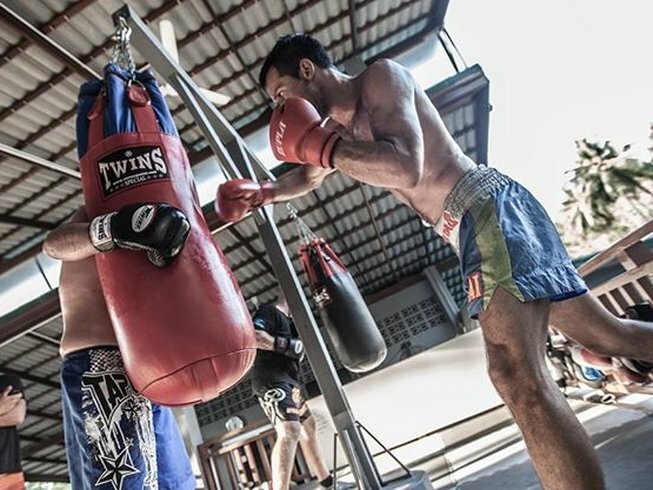 Virtually every single UFC competitor has a solid grounding in Muay Thai, which is a particularly aggressive form of kickboxing that heralds from Thailand. It is also known as “the art of eight limbs”, primarily because it encourages fighters to use their knees and elbows in addition to hands and feet. This martial art can be particularly devastating in a fighting clinch, as knees and elbows can create unique angles of attack and render an opponent unconscious in some instances. 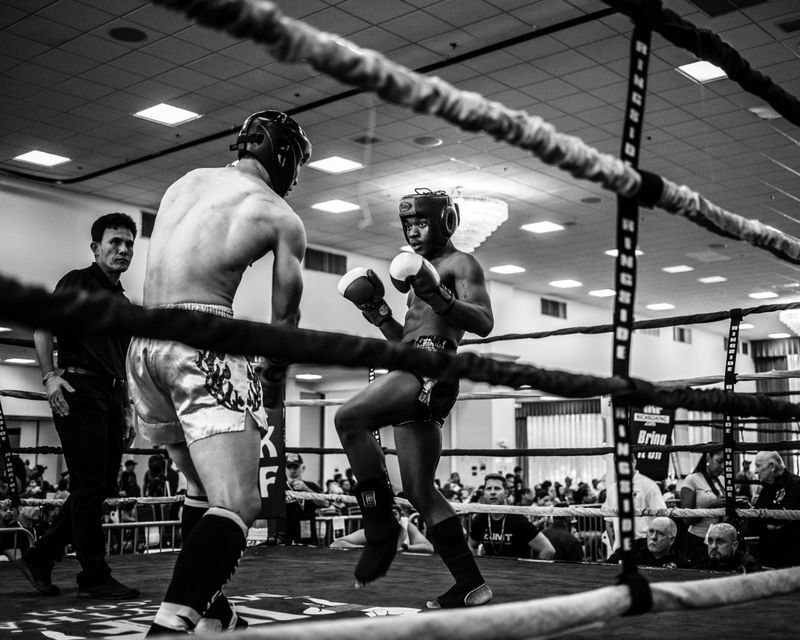 Given the likelihood that a random attacker will grapple with you and perhaps attempt to trap you in a bear hug, Muay Thai provides an effective counter that can nullify the threat in a matter of moments. Aside from teaching effective punching and kicking techniques, there are eight unique elbow techniques and seven methods of striking your opponent with the knee. The simplistic Kao Tone (straight knee) maneuver is arguably the most effective of these, as this requires students to thrust their knee straight upwards in order to connect with an attacker’s chin. This offers a number of benefits. 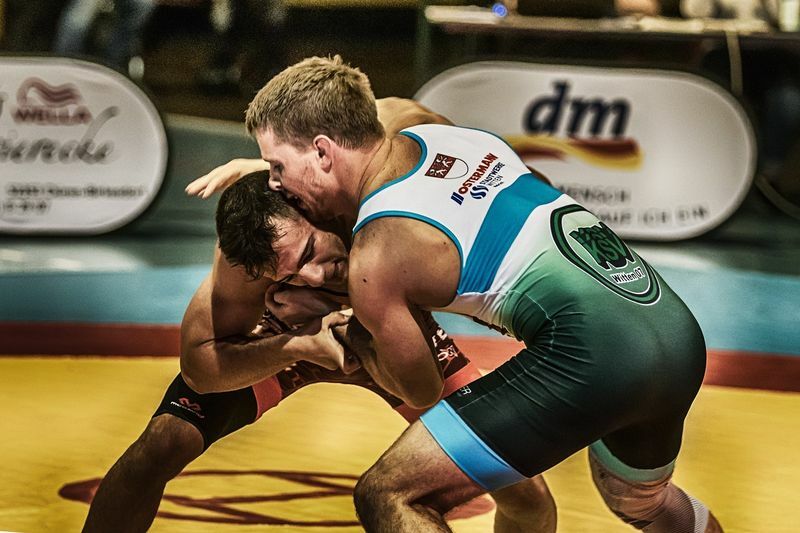 Firstly, it’s effective in a clinch as your arms may be pinned by an attackers’ hold. Secondly, this can also be turned easily into a kick for pushing the opponent away, neutralizing any potential counter-attack that may ensue. This clean method of striking is also powerful and sharp and can bring an end to any physical confrontation with the right technique. 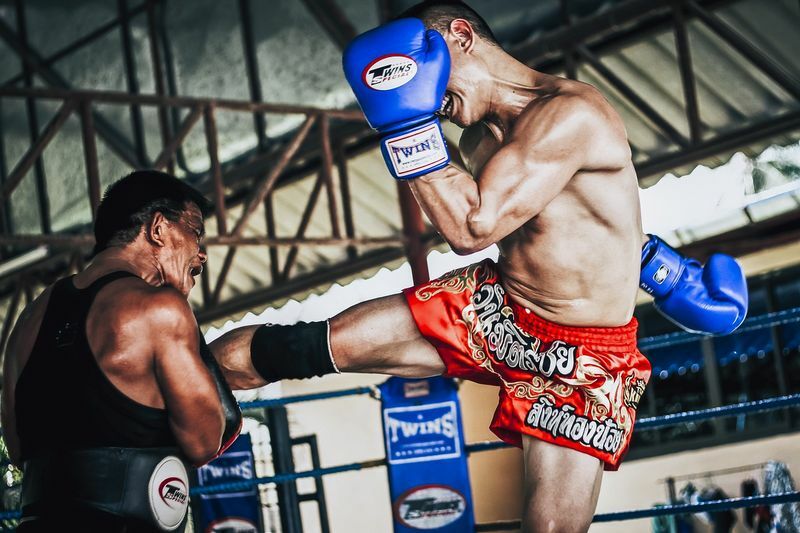 Given its relevance in relation to a typical street attack and the fact that this martial art allows for relatively simple in-fighting, there’s no doubting Muay Thai’s appeal as an effective method of self-defense. It’s also one of the most savage styles, creating an efficient way of nullifying attackers regardless of their size. As the experienced security guard company First Security Services claims, there may be times when it’s better to seek flight rather than stand and fight and pave the way for experienced security professionals to nullify a threat. This is not always possible, however, and there are times where you’ll be compelled to fight in order to overcome a motivated and opportunistic attacker. As we can see, there are numerous martial arts out there to help you achieve this aim, each of which offers value as a viable method of self-defense. However, these diverse arts offer different benefits to students depending on their own unique circumstances, while it’s important to learn alternative methods that can be deployed in a range of scenarios. With this in mind, it makes sense that you should combine moves and teaching from these three martial arts in order to arrive at the best self-defense strategy. This will enable you to protect yourself at all times and hopefully stay safe in an unpredictable world. Want to get started with combining moves from different martial arts? Join a Mixed Martial Arts camp and learn the secrets from dedicated teachers! Jason M was enrolled in Taekwondo at a young age and since then he has loved martial arts. Fortunately, he has never had to use his martial art skills on the streets and he hopes to keep it that way. His newest practice is Muay Thai which he picked up after a trip to Thailand.